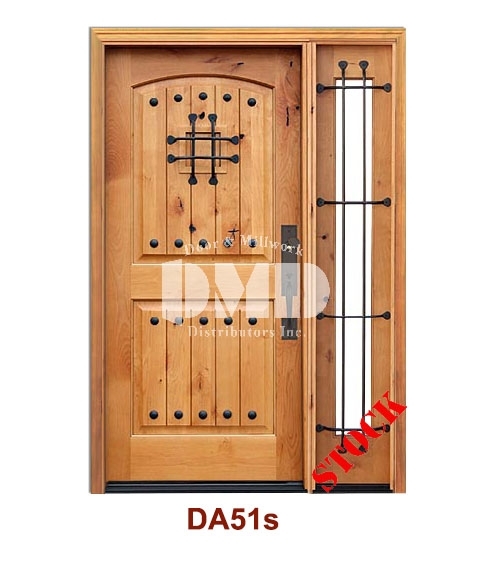 DA51s Knotty Alder 2 Panel Arch w/v-groove, clavos & speak easy | Door and Millwork Distributors Inc. Chicago wholesale resource for Interior , Exterior, Fire Rated Doors and Mouldings. Lack of proper overhang will void warranty! Click here for complete warranty details.